The last 24 hours or so I have had a dramatic increase of spam messages on the blog, almost a thousand in just one day, which may very well cause your comments to get “drowned” when I erase all the computer generated crap. So if you know me and you do write a comment, it would probably be a good idea to send me an email as well. That will certainly increase the chance of your comment being approved. Hope you all have a great day in this wonderful spring sun! I have started translating the site to Swedish, but it’s not all fun and games since a lot of the framework and plugins contain a lot of English, often buried deep down in the php code. Maybe I’ll skip the whole thing and keep to English instead. I don’t like to mix anyway, it just looks ugly! 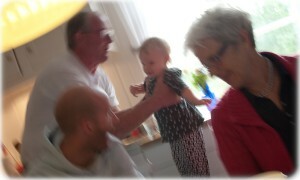 My first post with the original “Suddig” (blurry) picture in it!